The power of the Apple® ecosystem is what separates the technology giant from its competitors, a shift notably evident this past decade. Apple’s devices, operating systems, applications and ancillary services are designed to work together as seamless as possible. The ecosystem is what creates an elegant user experience, and it’s what keeps you coming back. Continuity Camera is yet another example of this fusion. 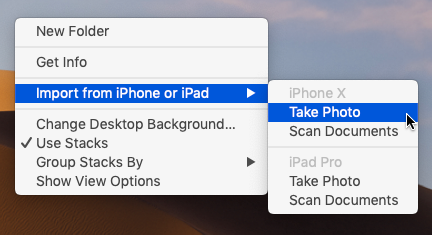 Linking macOS® 10.14 Mojave to iOS12, this new feature allows you to snap a picture or scan a document with an iPhone® or iPad® running iOS 12 and have that image instantly appear on your Mac® running 10.14 Mojave. It’s that simple — once you enable that simplicity — and the solution solves a multitude of challenges. Continuity Camera is supported in many apps, including Finder®, Mail, Messages, Notes, Pages®, Keynote®, Numbers® and potentially some third-party applications. To enable the feature, Continuity Camera requires that the devices be on the same Wi-Fi network, have Bluetooth turned on, and have the Mac and iOS device signed in to iCloud® with the same Apple ID using two-factor authentication. Should you import directly into an app or onto the Desktop is up to you and your project. But adding a file to the Desktop that you can then drag to its eventual destination gives you more options for reuse or modification, along with backup. That could be important since the photos and scans aren’t stored on the iPhone or iPad. First, Control-click the Desktop and choose either Import from iPhone > Take Photo or Import from iPhone > Scan Documents. A dialog appears on the Mac screen, telling you to use the iPhone to take the photo or scan the document. 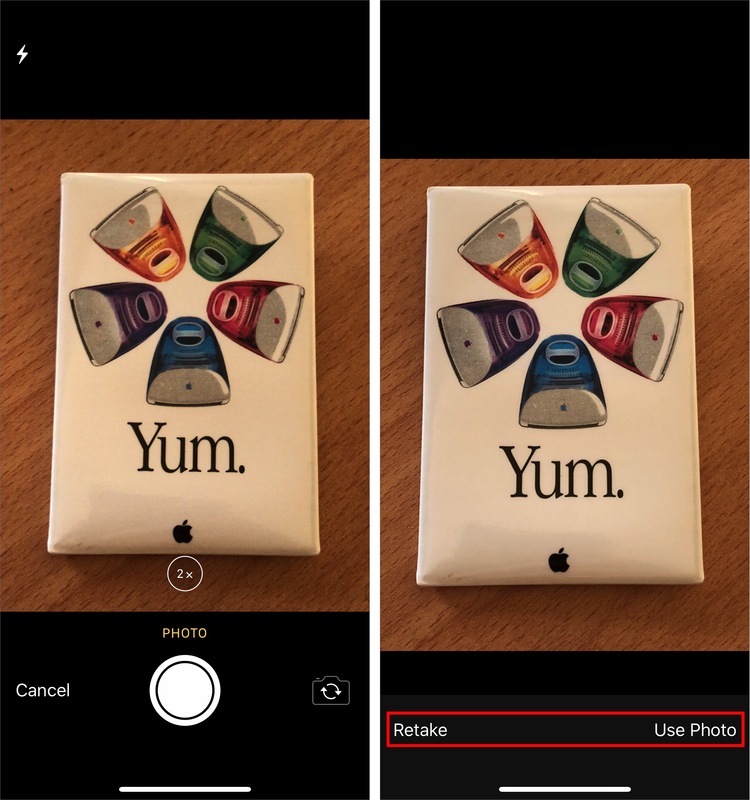 The iPhone automatically displays a variant of the Camera app. Open a supported application on your Mac. If you’re taking an iPhone photo, you can switch between the rear- and front-facing cameras, pinch out to zoom, or enable the flash with the flash button. All you need to do is tap the shutter button. If the photo is blurry or otherwise unusable, tap Retake to try again, but if you like it, tap Use Photo. The picture shows up immediately on your Mac as a JPEG file. Open a supported application on your Mac. If you’re scanning a document, you also get a Filters button that lets you set the scan type — color (the default), grayscale, black-and-white or photo. By default, the scanning interface takes a picture automatically when it detects a document. If it moves too fast for you, tap Auto (at the upper right) to switch to Manual. Then tap the shutter button to capture the image, after which you may drag the circles to identify the document corners better. Then tap Retake or Keep Scan. If it’s a multi-page document, flip the page and continue scanning to add more pages. When you’re done, tap Save to send the document to your Mac as a PDF. Continuity Camera is one of several Continuity features you can use with your Apple devices. To learn more, visit https://support.apple.com/en-us/HT204681. And, as always, please contact CranstonIT at 888-813-5558 or support@cranstonit.com for answers to all your Apple ecosystem questions.